LONDON: Two former senior leaders of the Muttahida Qaumi Movement (MQM) and confidantes of its founder, Altaf Hussain, have indicated to spill beans on the assassination of Dr Imran Farooq, who was killed nine years ago here in Edgware. The warning about Scotland Yard’s involvement has been made by former Rabita Committee members Muhammad Anwar and Tariq Mir in a legal letter sent to Altaf Hussain through his solicitor, warning him of both police and public action. Muhammad Anwar and Tariq Mir have threatened they will report their concerns to Scotland Yard and will hold a press conference to share all communications between them and the MQM founder if the alleged propaganda against them is not ceased. 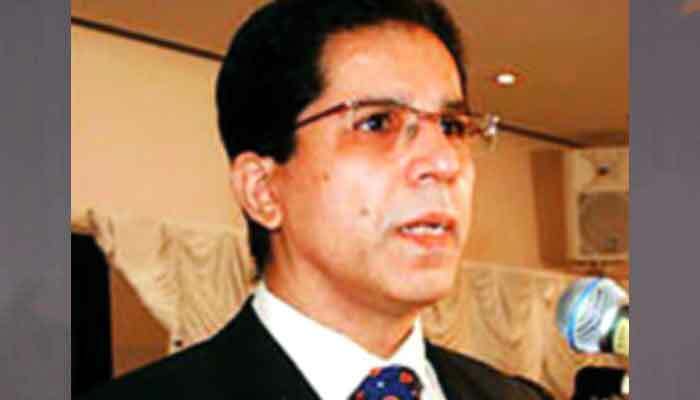 The reference to Dr Imran Farooq’s killing in September 2010 is contained in the letter asking the MQM leader to stop the alleged “nefarious campaign” or else the matter will be reported to Scotland Yard which is investigating the killing of Dr Imran Farooq, former deputy convener of the party. “There is already a murder enquiry on going in UK and Pakistan,” says the letter by Anwar and Mir in reference to Dr Imran Farooq’s killing. 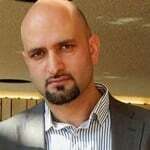 As reported for the first time in The News on Monday, the dispute relates to two properties worth £2 million in Edgware which the MQM founder, being the legal beneficiary, wants transferred to his name or anyone he nominates from his family or party, but his demand is being resisted by the title holders of the two properties: Tariq Mir and Muhammad Anwar. The letter to Altaf Hussain alleges that he’s responsible for starting a “slanderous character assassination campaign against both of us” and “we are well aware of the methods of coercion and lies these people use to put pressure upon any opposition”. The letter demands “an end to the pack of lies” and apology or face consequences. This correspondent revealed on Monday that the dispute involves the ownership of two properties carrying £2 million worth: 185 and 221 Whitchurch Lane, Edgware; five & four-bedroom properties respectively. Land registry papers show that both 185 and 221 have Muhammad Anwar and Tariq Mir as the title holders for both properties, registered with the HMRC, but the legal papers related to the same properties have Altaf Hussain and the MQM as the “beneficiaries” on the restrictions section which means that the ultimate beneficiaries of these properties, if sold or leased, will be the MQM founder and the MQM. Muhammad Anwar and Tariq Mir stress that they have no objection to transferring the properties to the beneficiaries provided they get an undertaking from Altaf Hussain’s solicitor that on the conclusion of the ongoing HMRC investigation, all taxes due, penalties and accured interests will be paid by Altaf Hussain. It is to be noted that Altaf Hussain, Muhammad Anwar, Tariq Mir and several other MQM leaders have been interviewed by Scotland Yard in relation to Dr Imran Farooq’s murder and their attendance -- and interviews -- at the police stations was recorded by the police. The MQM leadership, according to a source, is of the view that it will stick to its rightful demand and will act within legal means. The source said that the MQM leadership has not been involved in any kind of offences as alleged by its former leaders.